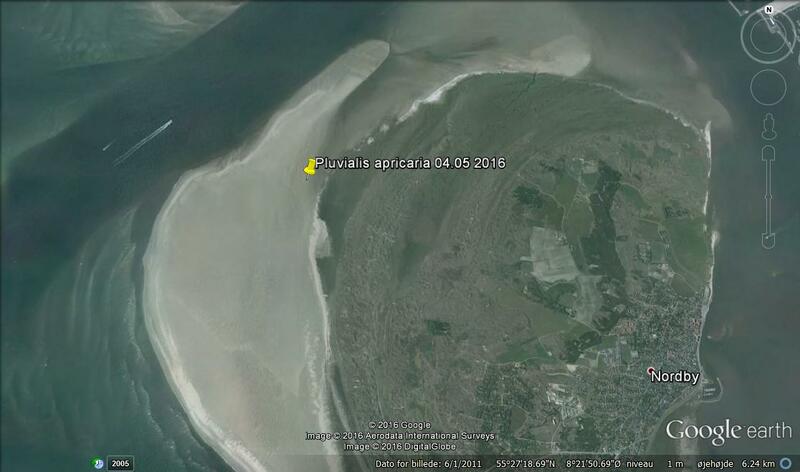 Last 4th of May, Kim Fischer notified us of the presence of a colour-ringed Golden Plover in Fanoe beach, Denmark. 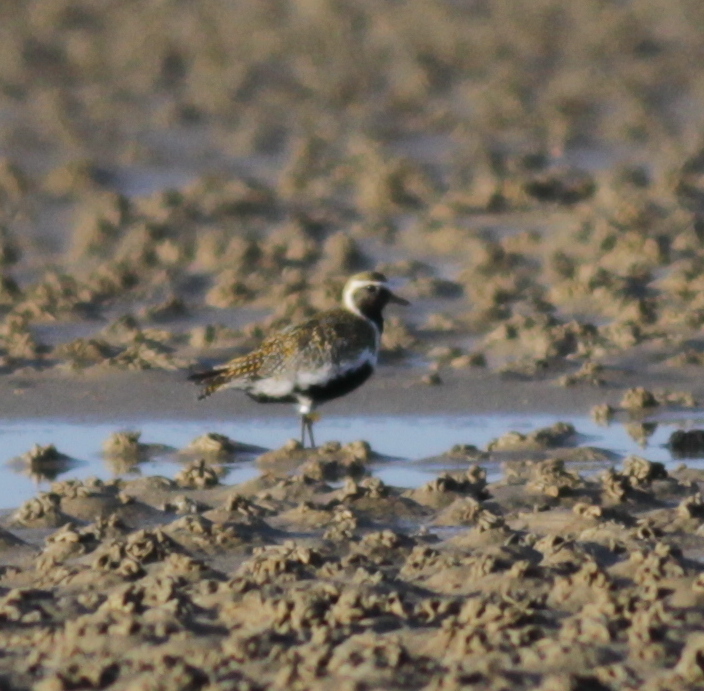 And it is indeed one of our Ammarnäs birds from the project on the ecology of breeding waders in northen Sweden! The bird was first caught and colour-ringed as a 3+ male in Raurejaure area on 28/06/2011 on its nest, when it was placed a geologger on its leg (attached to a c-ring) to get data on its movements during the non-breeding season. Two years later (2013) it was retrapped again on its nest on 27/06/2013 when the logger was retreived and got two years of data. Interestingly this bird is the principal character of our lattest article published in the Journal of Avian Biology in 2015 with two years of geolocator data. In the figure below, this bird is referred to as 1a (for movements in 2011-2012) and 1b (for movements in 2012-2013). Interestingly, in both years the bird used the same stopover area in Denmark, where actually three other tracked birds made one stopover. Therefore this stopover site must be a very important area during both the south and northbound migration. 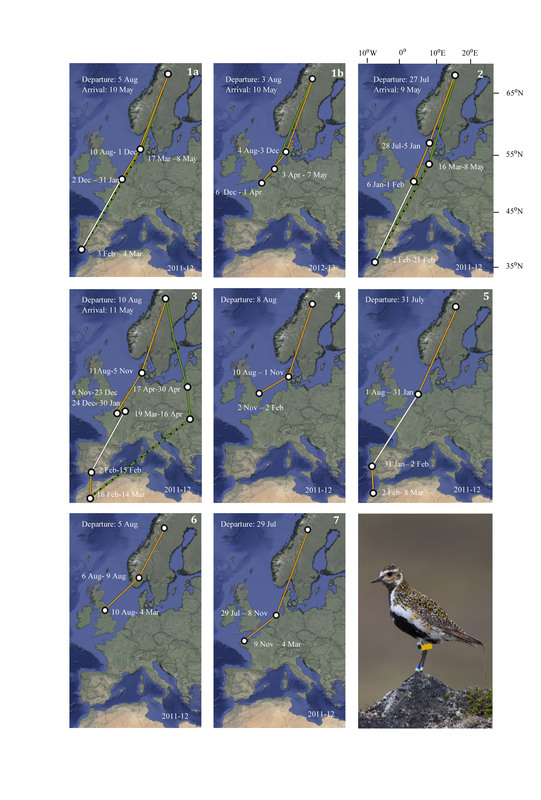 Migration routes of Golden Plovers deployed with geolocators. We all know how challenging is searching colour-ring birds. During the non-breeding season, Golden Plovers gather in flocks, sometimes hundreds of individuals huddled in enormous fields while roosting. Very often the vegetation or water obscures the legs of the birds making it very difficult to find colour-marked individuals. 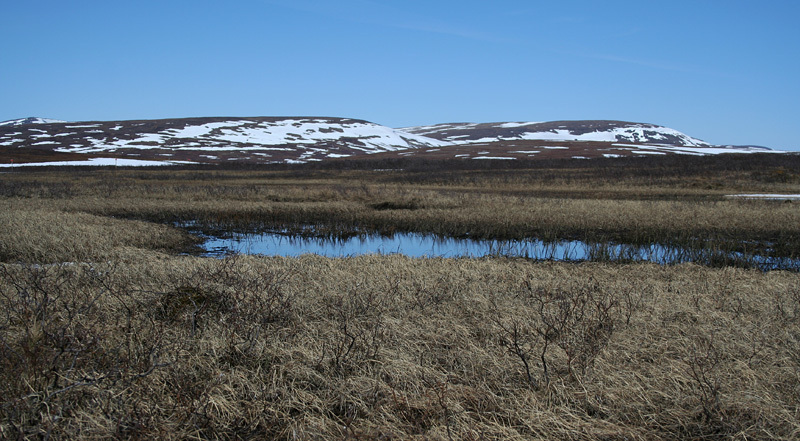 However, thanks to the keen observers who spend lot of time out in the field looking for colour-ringed birds, some of the birds we monitored during the breeding season in northern Sweden are spotted in the non-breeding season along their migratory routes or wintering sites. During this non-breeding season, so far, two of our Goldies have been discovered. The first observation came from The Netherlands, thanks to Thijs Fijen and Mardik Leopold who reported a colour-ringed bird on the 3rd and the 18th of September respectively, in Mokbaai, Texel. This bird was caught on the nest and ringed on 12 July 2013 in Raurejaure, west of Ammarnäs. 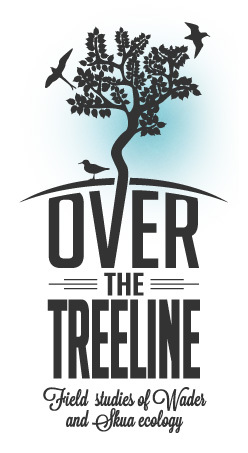 We did not see the bird on the breeding grounds this season, so it is good to know that it is still alive! Early this month, on the 4th of November, another bird was seen in UK, just at the same spot where it was seen in the winter 2011-2012, at the Cley Marshes Reserve, Norfolk, England. Another sign of how site faithful these birds are, also during other parts of the year apart from the breeding season!. 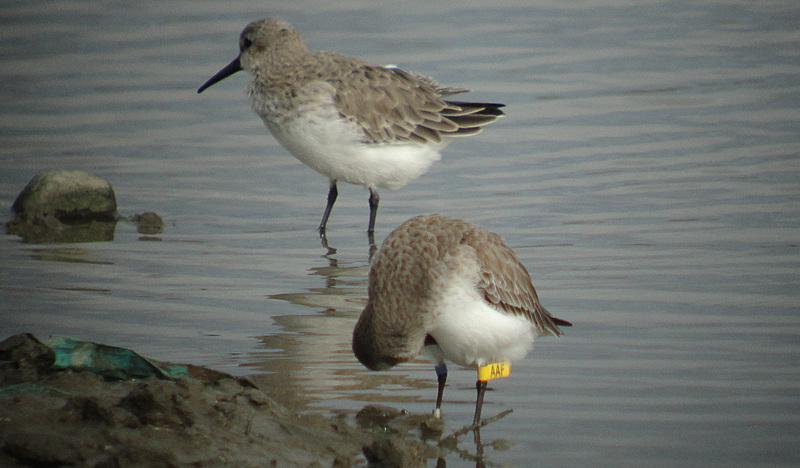 Last time it was observed had a geolocator attached on its leg (see picture below). In the breeding season 2012 we succeeded in retrieving the logger and get the data stored to be able to draw its movements on the map. 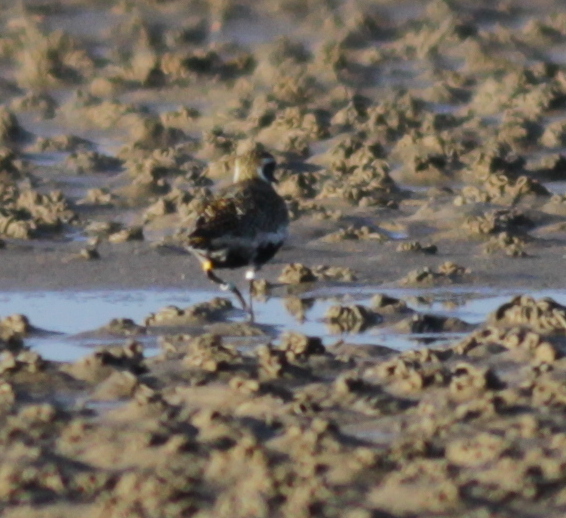 We are currently working on a paper about some aspects on the migration patterns of this breeding population thanks to the help of this plover and others carrying a logger for a year on its leg. Hope we can publish it soon and it is of your interest. Thanks a lot to all observers who spend lot of time out in the field and report their sightings! 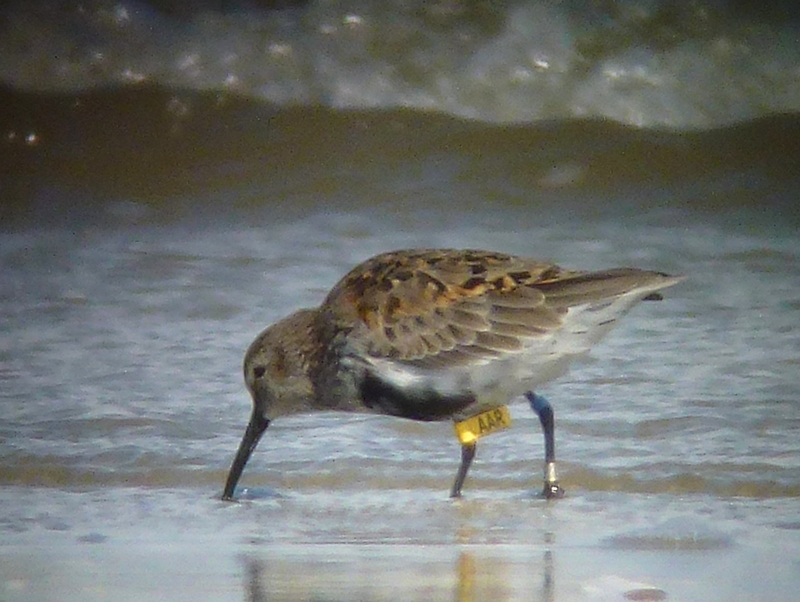 Last August 10, Caroline Walta reported a new resighting of a colour-marked dunlin in Simonszand, a sandbank between Schiermonnikoog and Rotturmerplaat (The Netherlands). We received the news with great joy, when part of the team was still doing fieldwork in the breeding grounds where this bird was ringed. 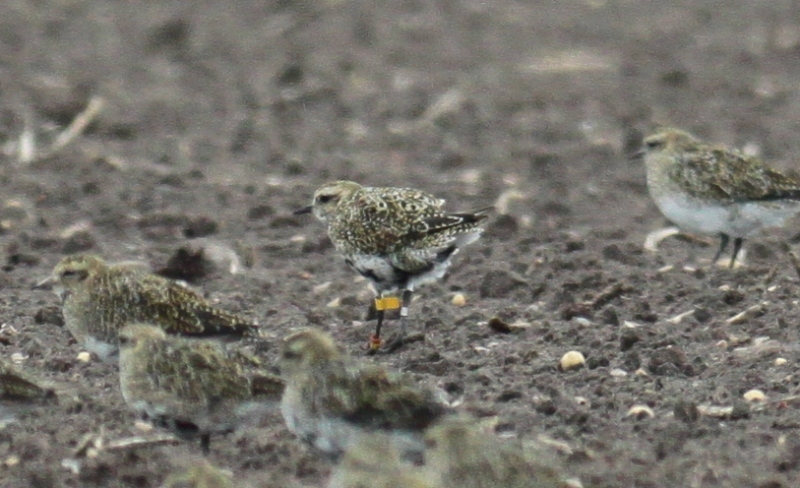 This female bird was first ringed the 26th June 2010 in Björkfjället. Next year (2011) was captured again on the nest the 30th June and colour-ringed. Both seasons the nest hatched successfully and the nest site was very close, but since then we haven´t seen it in the area anymore. Adult females leave the breeding grounds a few days after the nest hatch, leaving the males taking care of the chicks which will stay around until fledging. Therefore, adult females will be the ones reaching stopover sites first, followed by adult males. Young birds will join them later in the long journey to the south. This time news from Portugal announced us on the 1st of November the resighting of a Dunlin (Calidris alpina) on the mudflats of Tejo estuary in Seixal, Setubal (Portugal). This is the first resighting we get of the species outside the breeding grounds since we started with the colour-ring project in 2011. On June of last year, in the largest of our study areas, Björkfjället, this bird was marked on the nest as an adult (>2cy), aged according to the degree of wear of the plumage as well as lack of retained juvenile feathers in wing coverts, and was sexed as a male according to differences in breeding plumage from that of females. Its breeding season 2011 was successfull (at least until hatching date) but we couldn´t resight it again this summer so we don´t have any data from last breeding season. We are very grateful to Raquel Tavares and Richard du Feu for sending the observation and picture. We hope to get more! Large meadows, fallow lands and stubble fields in The Netherlands are of great importance for the European Golden Plover, providing them with food along their migratory route in their non-breeding season that help to recover fuel deposits and complete the moult they started some months ago in the breeding grounds. Some will spend just some days and migrate further south to France, Spain or north of Africa, but others will probably stay the whole winter at these latitudes or move to Great Britain in search of milder temperatures if the weather gets severe in continental Europe. 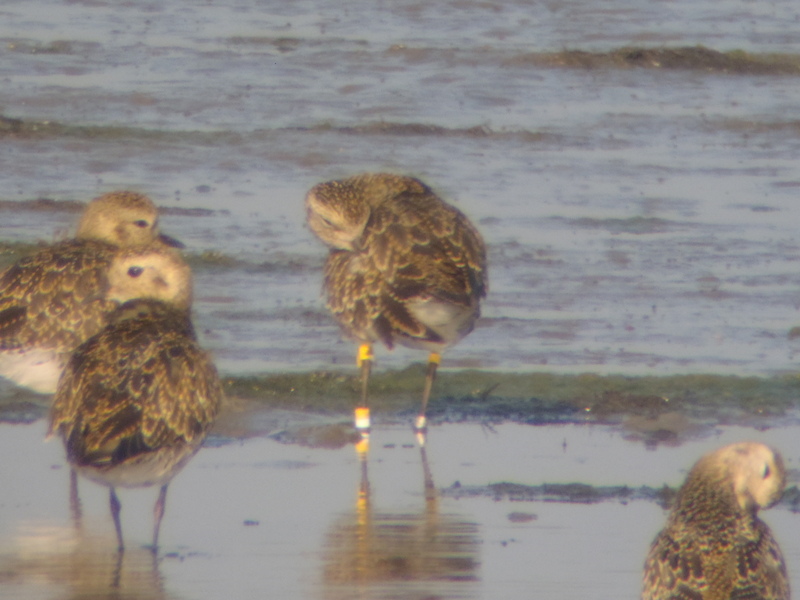 Almost two months after the last post, when the first Golden Plover chicks started to hatch in our study area, we get the first resighting of a Golden Plover outside the breeding grounds after the field season 2012. 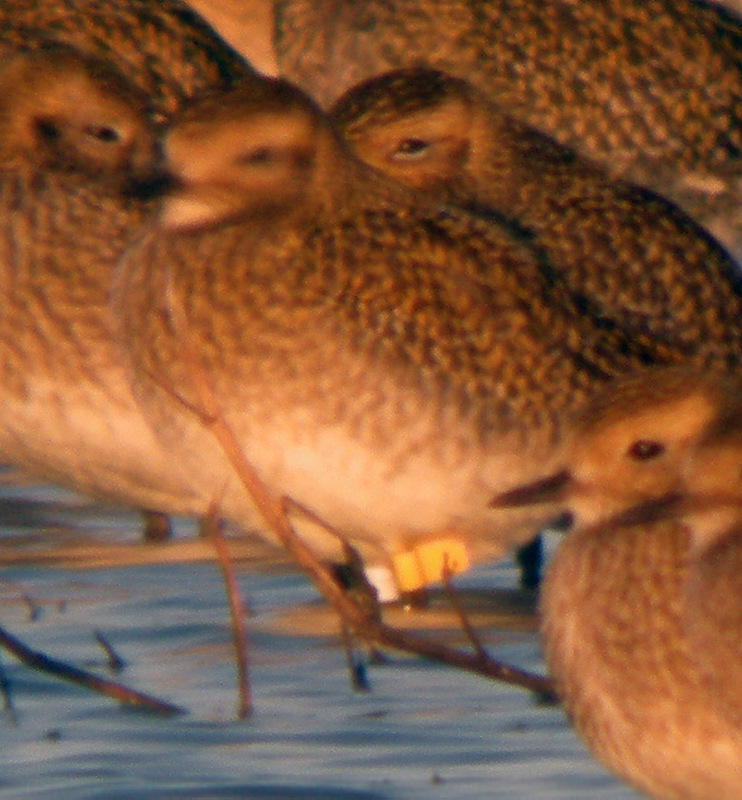 This is one of the 30 birds we supplied with light-loggers in 2011. Due to the late spring and high predation pressure in the area this season, we could finally retreive just four of them, but we will try to get more next summer 2013! We are very grateful to Fred Visscher for his resighting on the 13th of September and the picture he sent us. Thanks to these observations and the light-logger data, we will get more knowledge about how the birds conduct their migratory movements during the year.